As you’ve read in my previous post, I talked about my June challenge. This past weekend, I was still feeling unwell from the nasty head cold I had following Memorial Day weekend. I wasn’t feeling particularly inspired or energetic to be able to come up with new projects. However, I really wanted to do something related to my June challenge! I dug out my never opened Envelope Punch Board by We R Memory Keepers (WRMK for short!) and some old patterned paper. I purchased this tool probably a few months into my cardmaking journey. I wanted this tool because of its ability to be able to create envelopes of numerous sizes! Sometimes a plain or solid colored envelope can be underwhelming when you have created an awesome card, so using specialty paper or patterned paper can “up” the cuteness factor. I now know I can stamp and embellish my envelopes but at least this is another alternative too! As a disclaimer, the Envelope Punch Board has been in the crafting industry for awhile now and the patterned paper is at least a couple years old. This isn’t a review for the Envelope Punch Board because I only used it once and only for A2-sized envelopes. The Die Cuts with a View (DCWV) Seaside Yacht 12×12 paperpad was released in 2015 so I think it may be out of circulation when I try to Google it online. The punch board normally retails for $24.99 and includes a scoring tool, instructions, measurement guide and scoring line etched on the tool. It also has a corner rounder that you could use for your envelopes or your cards. Click here to see the product description for the tool! Click here to see the official WRMK’s YouTube video on how to use it. This is my interpretation of the steps. First you take your pre-cut paper and align it with the measurement indicated on the chart. Then you push down the punch and score at the etched score line (to the right of the paper). You rotate the paper (counter clockwise direction, so to your left) and align the score mark as indicated. Repeat the process for all sides. As I’ve mentioned, I got a little lost so I definitely had to use the video! I took some of my favorite papers from the paperpad and followed the directions and insert from the packaging. Not going to lie, I was briefly confused by the directions as I went along but the video quickly cleared it up for me. In addition to this tool, you’ll need a paper trimmer to cut your paper to the measurements needed for your desired envelope and then a strong adhesive for the seams when constructing it. I used my Tombow adhesive runner but thin double-sided tape should work too! I’m posting a link to a video I found helpful to avoid making measurement mistakes! I found that one of the envelopes I made didn’t look quite right. I think there is a bit of a learning curve with this tool to make sure it all aligns correctly. As the linked video mentions, one wrong score or punch can cause the remainder of the card to be inaccurate and misshapen when you try to assemble it. What I love about using patterned paper (especially if it’s double sided!) is that when the recipient opens the envelope, there is a pop of color from inside! One day I was scrolling through Instagram and some of the planner accounts I followed were re-posting a “Rep search” for a hot-pink company I’ve never heard of before. I found myself going down a rabbit hole clicking on the associated hashtags before landing on @deskglam’s account. You can read more about DeskGlam here but essentially, it’s a subscription box service offering pretty yet productive desk and office supplies. For those that don’t know, I’ve moved from doing bedside nursing to a mostly, desk-bound office job. I’m still getting used to this career transition and I told myself a couple weeks ago “If I’m going to be in an office, I need cute supplies!” that have some personality yet are functional. Surprisingly, a lot of random hospital personnel and nurses end up in my office and I’ve seen a lot of them scanning or touching my office supplies (kind of weird to me, but I digress). Hopefully if I start finding and accumulating cute supplies, these same people won’t be walking away with my pretty things! Disclaimer: I purchased this box personally and in no way was I solicited to write this or review this service or product. I just wanted to share in case it was something you personally may be interested in. From DeskGlam’s website FAQ itself , a monthly box should consist of products that are worth $60 or more of unique, colorful and inspiring office/work supplies packaged in a bright pink box. One thing I thought was cool was that each month will feature many new “creativepreneurs’” products so it’s not product brands you may necessarily see on the shelves of big stores. Since I’ve been in the crafting community, I realize the importance of supporting small businesses, so this was a fun perk. How Does it Work and how much? From the website, you sign up for a monthly subscription (starting at $24.99 plus shipping) or you can just purchase one box like I did. Around the 15th of each month, it should be shipping out or on your door step! What I’ve learned in some update e-mails and on the website, there are limited spots per month in receiving a box. So you may find that the demand and popularity is pretty big, so you’ll need to be put on a wait list to receive one. I did receive my May box via USPS and it was indeed a bright, hot pink box! I don’t think this was the fault of DeskGlam, but I noticed that my box was moderately dinged, scuffed, and damaged with a couple of holes. Luckily, my products weren’t damaged so that wasn’t a turn off for me, although the box would have been super cute to re-use. I think because there was a hole in my box, there was the opportunity for some dirt or grime to enter, which I found a couple smudges on a couple of my white products. All the items were put together neatly in pretty pink tissue paper. At the top of the packaging was a handwritten note from the founder, Cristin. What a nice touch! Mechanical pencil with pineapples. Side note: Cute and clever, the only thing that let you know it was a mechanical pencil (instead of a regular pencil) is the lead point! It was clear which items were created by which company(ies), but a majority of my box had products from a company called Purposeful Indulgence. I’m glad I satisfied my curiosity for DeskGlam because the products made me smile and they are much cuter than the normal and plain office supplies you’d typically see. I must not have read too much on the website because I was a bit surprised that some of the products like the file folders appeared hand-made (washi tape or some kind of vinyl design). I could totally be wrong but now that I’ve read that these boxes can showcase independent creativepreneurs, it makes sense there is a handmade component. The website and customer service experience was good and I didn’t have to reach out to them for anything. I don’t think I will continue to subscribing every month due to personal financial reasons. At this point, the shipping costs may be the biggest con for me. Last I’ve checked, it’s about $9.99 and that stacks up with the already $24.99 cost per month. I think I may buy a box (if there’s room on the list since I’ve canceled the monthly option) every other month or once a quarter. Overall, I’m happy to have supported this company and I hope they succeed! Not going to lie, sometimes I’m a bit critical as a consumer (never want to waste money!) but I didn’t do that with this post because it was their first box and I’m sure the upcoming weeks and months will be an opportunity for feedback and growth. I wish DeskGlam all the best as I think this is an awesome idea and I’m excited to see how this company will grow. If you’re interested in seeing more, check this company out on Instagram! The IG handle is @deskglam and @purposefulindulgence . DeskGlam’s hashtag is #prettyproductivity, so cute to see more inspiration! This card is probably my most favorite card to make this year! I wanted to make a card for my niece, Gizelle. Her birthday was on May 6th and I didn’t mail this card out to her until this past Monday. It took me awhile to decide what kind of birthday card I wanted to send her. She has been so supportive of my crafting hobby and she comments on my projects. I know she loves gold foiling and she is very much a fashionista (she runs her own LA-based lifestyle business!) so I thought a marbled theme would be perfect for her! The main supplies I’ve used today were from a recent haul from Simon Says Stamp. The main star of this card is the Layered Marble stamp set from Waffle Flower. On the back of the packaging, it has a nice guide of how you can layer the stamp set and gives you a guide of how to layer your inks from lightest to darkest. The guide gave me a good idea of how the set works (looking at the set you would probably be confused as to where to start) but I love that I could decide which image I would use first (the marbled effect is pretty forgiving!). Not going to lie, I love solid and dark colors. Altenew has gorgeous inks, but I think their best line is of the grays! I primarily used their newest release of grays which are aptly named Silver Stone, Industrial Diamond, Pure Graphite and Limestone. There are previously released gray inks which I also used : Lava Rock, Morning Frost, Moon Rock, and Evening Gray. I used gray and black gel pens to help fill in random areas. I probably didn’t have to, but I did to help add a little sparkle. In hindsight, I should have probably stamped more of the images to take up more of the white space. I sprayed some Heidi Swapp Minc Reactive Mist. You must let the mist completely dry before using foil and the Minc machine Don’t press the spray too hard as you might get some big splotches I would practice spray away from your project and only spray when you feel comfortable of how much product to spray. On one of the blog posts from Heidi Swapp, it recommended to let the mist dry OVERNIGHT. I probably waited a couple hours only because I sprayed conservatively. I then layered gold foil over the splattered area and ran it through the Minc. I’m going to admit that my e-mail inboxes can be hard to manage and I’m always opting out of promotional emails or e-mail based subscriptions to keep me out of e-mail jail. However, I am subscribed to a few crafters and a few crafty companies (hello sneak peeks and discounts!). I am subscribed to the Simon Says Stamp blog because of all the wonderful inspirational posts, challenges and frequent blog hops. It’s another fun way to participate and interact in this community! One fun thing I love about the Simon Says Stamp blog is the chance to randomly win some blog candy just by subscribing and posting comments. Well, I received a pleasant surprise the other day when it was announced I won some blog candy! Again, I got it by commenting on one of the blog posts. 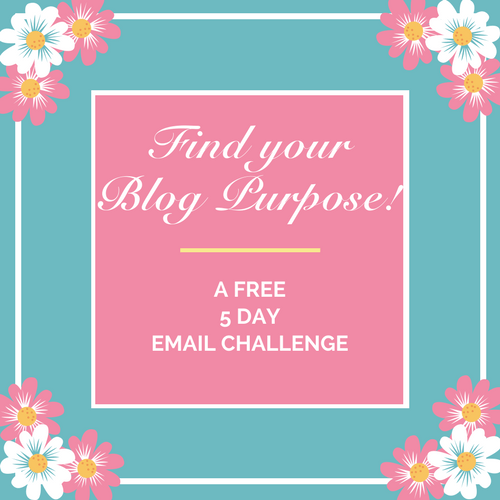 You can also win blog candy if you are selected as a winner from their challenges or blog hops. My blog candy grab bag consisted of supplies that were originally from the November 2012 Card Kit! Perhaps it was a part of the trends from 2012 (I wasn’t crafting then) but it feels like a vintage, shabby-chic vibe. I can’t wait to challenge myself as I’ve never used these types of supplies before! Did you ever use this Simon Says Stamp card kit? Sorry it’s been a couple weeks! Things have been hectic in our household and on the work front. I’ve been buying (I went 2.5 weeks on a no-spend earlier this month!) some crafty goodness, and now working on uploading and sharing on the blog! Earlier in the month, I was able to snag a pretty good deal from Studio Calico, which they’ve called 15 Items for $15. By no means is this a new company, Studio Calico is an established craft supply company- it’s just new to me. In the past, I’ve been tempted to snag their monthly subscription kits (learn more here ). What’s stopped me? There are too many categories I would be interested in! They have ones for memory keepers, planners and card makers to name a few! Anyway, if you are a Studio Calico fan or are curious to try out some of their goodies, check in on their social media often, because I think they hold these type of sales frequently on select items! For my 15 items, I ended up getting a mini stamp set (I think it’s been discontinued though), Color Theory mini mists, Color Theory acrylic paints, and scratch-off stickers for hidden stamped sentiments! I made 2 cards for Matt’s grandparents. They are always so good on sending us cards for all the holidays, birthdays, and our anniversary. We didn’t have much time to spend time with them or talk to them since moving, so I wanted to send some cards with an update letter, filling them in on the details of our lives. I cut two A2-sized cards from Neenah Solar White cardstock. For the card backgrounds, I placed each one in a makeshift “splatter cubby” (aka a shallow cardboard box). I used all the Color Theory mists I’ve purchased which I will list at the end of this post. To get the variation of the splatters, I experimented with the intensity of how hard I pushed down on the nozzle to get the varied sizes and coverage of the colors. Words of advice… do not fully push down on the spray nozzle as you will get a full-blown mist and a couple big droplets. Spray further away from your project to get subtle splatters. Lastly, you can get another splattered look by unscrewing the top of the bottle and tapping lightly above your project. While I was experimenting of how much to apply, I’ve experienced that while the mist is watery, spraying too much can cause your project to become too saturated and take a long time to dry. On some Canson watercolor paper, I sprayed the mists with more intensity to be able to create the speckled look. I then used the Sizzix heart die to cut out 12 hearts to be able to glue to the first card. For the second card, I used Simon Says Stamp masking paper to cut out four heart masks. I then sprayed the mists over the masked areas, careful to not saturate the cardstock too much, otherwise the masks are difficult to take off. I let the cardstock dry before using a Sizzix scalloped circle die to cut four of them to glue to the second card. These mists were fun to experiment with and I’d love to create more cards with the splattered backgrounds. Have you tried any Studio Calico products or subscriptions? Let me know! A week or so ago, when I saw May Park’s card on Instagram featuring a stamp set that featured Audrey Hepburn-esque images from Breakfast at Tiffany’s, I KNEW I had to get this stamp set. I’ve never purchased a Hero Arts My Monthly Hero Kit until this month in addition to an additional stamp set :You are Fabulous. You can find out about the Hero Arts monthly kits at the very beginning of each month where lovely designers showcase inspiration and sneak peeks. From what I’ve heard, these kits sell out pretty quickly so I pre-ordered mine asap. Find out what the monthly kits are all about here. I paid $34.99 for the kit and $15.99 for the You Are Fabulous stamp set. Thankfully shipping was free! My order wasn’t supposed to be released (per the website) until Friday, April 7th but I got it the day of! Secure packaging and speedy shipping! I would highly recommend checking out future sets and add-ons! This isn’t included in the kit, this was an add-on called You Are Fabulous. For this card, I used one of the half sheets of the Tiffany Blue cardstock and a Sizzix circle die to cut out the middle. With that Tiffany Blue cardstock, I stamped images from the kit’s stamp set in the Hero Arts Light Teal ink cube and Simon Says Stamp White pigment ink. I stamped the face silhouette and a sentiment in the Midnight ink cube on some Neenah cardstock. I mounted the card panel onto a card base and used foam tape to pop up the circular piece. Finally, I used the Tonic Studios Nuvo Crystal drops for the first time! I was seriously nervous I would mess this up but I’m pleased with the dimensional look I got! This was a fun card and I loved the kit! I can’t say I am wanting to jump into being a monthly subscriber, but the quality of the kit and the shipping experience I’ve had make a convincing case or a recommendation to someone else who may be interested. Have you seen Breakfast at Tiffany’s? What do you think of this fun release?! Lawn Fawn is one of my favorite brands in cardmaking. When I started cardmaking back in early 2016, I placed a couple Lawn Fawn products into my shopping cart at Craft Warehouse and never looked back. I love the quirky, whimsical, and versatility of Lawn Fawn products for all my cardmaking occasions. I haven’t had a big crafty shopping spree or order since January because of the move. I caved and purchased a lot of fun new goodies from their Spring 2017 release! I am not affiliated with Lawn Fawn, but I just love their products so much I love sharing my enthusiasm for them with others! If you haven’t checked out Lawn Fawn, you totally should and snag up some of their fun products. 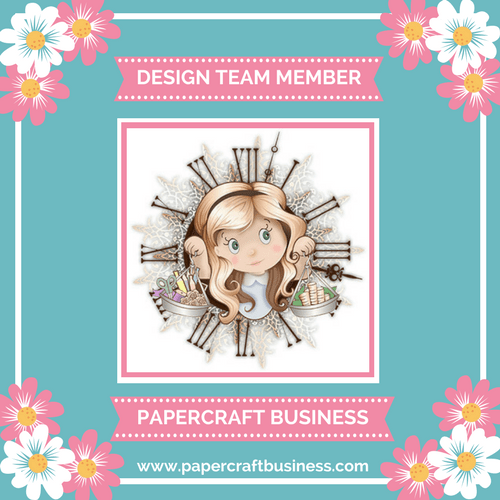 Like I said previously, the style is a little more quirky and whimsical (in my opinion), but I think with the wide range of products, I would imagine there is something for every crafter. When you specifically purchase from the Lawn Fawn website, it opens it up to a pretty nice and warm shopping experience! My orders have been processed fairly quickly (1-2 business days) and shipped out USPS priority, getting to me within the week of when I’ve purchased. The presentation of your order is also wonderful- usually bundled together with their colorful blue and green twine and a handwritten thank you note and bonus stamp! Sometimes I also receive some samplers of cardstock, which is always a pleasant surprise. I haven’t purchased nor tried Lawn Fawn inks so when I found out many of their existing inks would be available in cubes… you bet I would be snatching these packs up! They have released four packs of inks and I think it offers a good variety for those wanting to try out the inks. The sets are named: Tropical Island, Gazebo, Tea Party, and Candy Store cube packs. Anybody else seem to subconsciously collect paper pads? I bought the Watercolor Wishes and Perfectly Plaid Rainbow 6×6 paper pad. That’s 72 sheets of gorgeous prints! It was a little agonizing picking out which Lawn Fawn items I felt I needed more than the others. I ended up purchasing the little stamp sets and their coordinating dies. I picked up the Year Seven (a cute piñata! ), Bun in the Oven, and Hang in There (sloths make me chuckle so I had to pick this out). Not going to lie, my Sunday is a little busy with some mundane but NEED to do tasks. I’m really hoping I will be able to zip through my tasks so I can PLAY today! If not, I’ll have to postpone this until next weekend. Hope you guys have a lovely and crafty week ahead! To be honest, I didn’t really use YouTube for anything in my personal life until card making became a hobby. When I started binging through crafty videos, a type of video I’ve gotten into are “hauls”. I don’t know how the term came about but essentially it’s a view of the items bought during some shopping trip or maybe a buying streak online or in person. I primarily love watching crafty hauls because it helps inspire me or helps me get a “real life” look at a product or brand that isn’t the curated or photo-shopped persona that the online marketing world portrays to the public. I’ve mentioned in a previous post some of the blog post ideas I’m going to try in 2017 and one of the ideas was to do blog posts on my crafty purchases. I’m adding this new ink to my collection because it’s designed to work with alcohol based markers (no smudging!) and is supposed to be waterproof. I have a few black ink pads from different brands that state they have the above properties but I’m trying to figure out which one is my go-to ink. This is one of the Valentine’s Day releases from Lawn Fawn. Lawn Fawn holds a special place in my heart because it was the first brand I’ve stamped with and is currently the brand in my craft stash that I have the most products in. I think Lawn Fawn is one of those brands that can help you stretch your supplies because a lot of their sets complement one another so I think I can use this with other releases that have an underwater theme to them. I’m a sucker for puns and cute, whimsical images. Ideas for this are watercolor techniques, emboss resist and then watercoloring or ink blending, and of course making love cards. I’m slowly starting to build up my Hero Arts collection and what made me purchase this card was the theme. It’s a stamp set that can be used for more “adult” cards such as celebrating with drinks or invitations for happy hour get togethers. I don’t have a stamp set like this in my collection, so I thought it could be versatile when I felt like adding some “fizz” to my projects. I’m actually thinking after 2017 gets into full swing, I may want to create mini invitations to do a get together with friends out somewhere, or to create a set for a great friend who is known as a fun hostess. This was on the pricier side because the set comes with three components. The first is the beautiful cling background stamp that speaks for itself. The second component is the stamp set titled All My Love which was created by Laura Bassen, one of my favorite crafters. Finally, the third component is a coordinating die for one of the love stamps. Interesting, there are two stamp images of the word “Love” but only one coordinating die. This set perfect for Valentine’s Day cards but I primarily purchased this for year-round occasions! There are plenty of “builder” sentiments you can coordinate to give an extra special message to your recipient. In the same vein as the previous product, this set was slightly less expensive and comes with two components. The first is the stamp set Love which was designed by another favorite crafter of mine, Kristina Werner. Like the All My Love set, it has many wonderful sentiments that can be coordinated with one another and you have two different love stamp images in script font to use as well. The second component is coordinating die for both of the love stamp images. I can’t wait to play and share the projects I’ve made with these new and old supplies. I’d love to make a couple love cards for my husband to give in January and in February just because. We are going through some big planning and changes on the homefront and he has taken all of it in stride. Simon Says Stamp just released a new “Work It Wednesday” challenge and I’d love to start participating more in the cardmaking community. I’ll share the card that I’ve decided to create for the challenge after I get around to it. Click here if you’re interested in looking at the challenge! Any fun buys you’ve gotten recently? Entered any fun challenges lately? Until next time, crafty friends! One thing I’m going to be adding to my blog posts are about products I’ve purchased that I’m excited about or are new to me. This blog post is about my first purchase from the company, My Favorite Things. Another nickname for this brand is MFT, in case you see it or hear it in crafting videos or descriptions. I was watching a craft haul from Amy R. of Prairie Paper and Ink (check her out, she is one of my favorite cardmakers) and she was showcasing this kit. I fell in love with the items she was showing and I knew I HAD to purchase the kit! She mentioned she has a weakness for kitchenware. My kitchen isn’t filled to the brim with fun kitchen stuff, but her comment made me nostalgic. When my husband and I moved into our first place together, the kitchen was the first room I wanted to furnish with homey items that are probably viewed as kitschy. This desire followed me to spend money on countless items I thought we needed to try and make it “matchy matchy” and “cute”. We’ve thinned out our “kitchen crap” (my husband’s phrase of the items that ended up at Goodwill) but I’m not going to lie… when we move into our next home, I’ll probably feel that itch again. Anyway,I bit the bullet and purchased the card kit the next morning! It was fairly easy in navigating the site and locating the card kit. In fact, the Card Kit section did a great job of explaining how the monthly kits work. Each month the contents of the kits vary so price points change too. One thing that I think is FANTASTIC is that each monthly card kit also includes a sheet that tells you what you’re exactly getting, pictures of some cards made by the design team members, and then online/social media you can find a full gallery of the projects! Awesome way to be inspired to get the most out of the products! So, as of today, MFT offers free domestic shipping for purchases over $75. The card kit was $71.99 so I perused the website to find another item to qualify for free shipping (yes, I’m one of those shoppers). I found some ¼ inch double-sided adhesive tape so yay, free shipping! My order was processed within a day and shipped a day after that! It arrived in great condition and actually faster than I anticipated (Priority Mail 2-day shipping). My free “HUGS” die (FYI- You get a free die with a purchase over $60) felt sturdy as I become a little skeptical with flimsy feeling metal dies. What’s Included in the Card Kit? 12 sheets of card stock: 4 sheets of Smooth White, “Blue Yonder”, “Bubblegum”, “Daffodil”, “Gumdrop Green”, “Orange Fizz”, “Ripe Raspberry”, “Summer Splash” and “Tropical Teal”. I don’t know the cardstock specs, but it definitely feels like sturdy and high-quality cardstock. The colors are gorgeous and vivid! 2 clamshell containers containing 4 cubes each of mini ink cubes. Colors included: Blue Yonder, Bubblegum, Daffodil, Gumdrop Green, Orange Fizz, Ripe Raspberry, Summer Splash, and Tropical Teal. Kitschy Kitchen 4”x8” stamp set AND coordinating dies (MFT calls their dies Die-namics). The stamp set is made up of 27 stamps and the die set contains 21 pieces! You Bake Me Happy 4”x6” stamp set. This set contains 13 stamps of cute sentiments. These sentiments were what sealed the deal for me in purchasing them. I’m such a sucker for puns and quirky images and phrases. So, I’m really excited for using this card kit to try out these cute products and to test out if MFT is another brand I’ll be adding to my crafty supply collection. I’m most excited to try out the cubes and the cardstock! I have purchased some fun Lawn Fawn kitchen themed sets/dies and I think this MFT kit will complement them nicely. Plus the diversity of the images and sentiments, I can picture myself making different cards and tags throughout the year. I’m also thinking of using the fun ink colors and cardstock to create retro-looking or funky looking cards for those loved ones that love the unusual. I’ll keep you updated on how I like the MFT products and what I end up creating! Have a wonderful day!